Changing paradigms: FOIA or leaks? 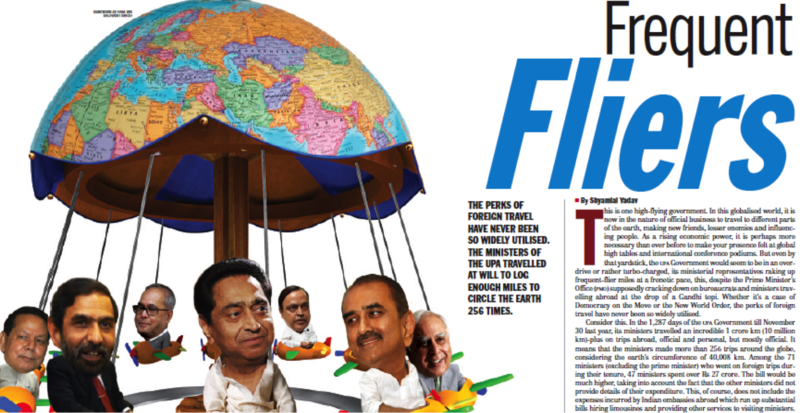 Indian journalist Shylamlal Yadav filed 59 FOI requests to report this story on excessive foreign travel by Indian ministers. Brazil was the 89th country in the world to have FOI legislation. These laws have been hailed as potentially revolutionary: When officials no longer have monopoly over government information, transparency can tilt the balance of power in favor of citizens. But can they change journalistic practice as well? In Brazil, as in other places where the rule of law is weak and politics is factionalized, there is an entrenched culture of journalistic leaks. Competing political factions routinely use the press to launch damaging exposés on the corruption or other wrongdoing of their rivals. The publication of well-timed leaks from politicians are a long-established political ritual and part of the arsenal of politics. As conduits for leaks, journalists benefit from a culture of selective secrecy. Unsurprisingly, except for the likes of Abraji, the investigative reporting association, and a couple of leading Sao Paolo papers, Brazilian journalists were not the prime campaigners for an FOI law. Brazil is not unique. Journalists are not always torchbearers for freedom of information laws. Accustomed to having privileged access to information because of their press passes, they are not always enthusiastic supporters of laws that would democratize access.